Perched on top of a private villa, Varandas De Canacona is a boutique hotel in Patnem. With some of the most gorgeous sunsets and rooms with the view of the Talpona river, it’s a small but nicely-kept riverfront property. Hope all you peace and river loving folks are listening? 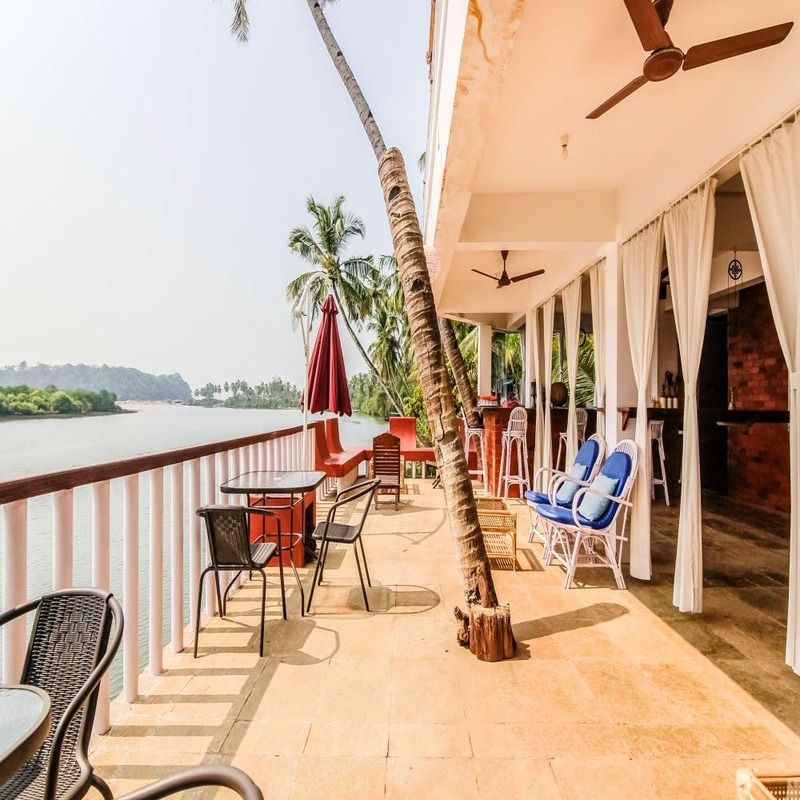 The charm of staying in South Goa includes lazy mornings and star studded nights. And, we’re lucky that this hotel isn’t on one of the more popular beaches. Varandas actually makes perfect sense for couples or solo travellers looking to unwind without a million tourists coming in the way. Pick from their gorgeous suites (there are four of them) or a room with bunk beds. One look at the property and you’ll see why it's worth the hype. They’re all clean, minimal and have sit-outs from where you can watch the river all day. Their in-house cafe is open from 8am-8pm, so you’re guaranteed good coffee, seafood, barbecues and some of the yummiest Continental breakfast spreads through your stay. Friends who’ve stayed here vouch for the staff being pretty attentive to your needs, so you’re never at sea. Need to do your laundry? Need the internet to book a last-minute flight (free wifi is an amazing thing)? Want to make yourself a cup of tea? Don’t worry. This hotel’s well-equipped with most amenities to ensure a comfy, home-like stay. Get yourself a cold beer and watch the sunset from the deck. Walk down to the tiny grocery shops nearby. Visit the Palolem beach for your fill of shack food. Go on a dolphin spotting tour. Claim a sunbed on the terrace and nap a little. Or better still, vegetate at the chalet and do nothing. You know you deserve a holiday where there’s no agenda; no pressing need to get up from that river-facing bar really. The prices start at INR 4k a night and if you’re a group of four, we’d suggest the deluxe family suite. If you’re going with bae, get yourself the double room with the balcony… This is our favourite.